This made me stop for a minute. 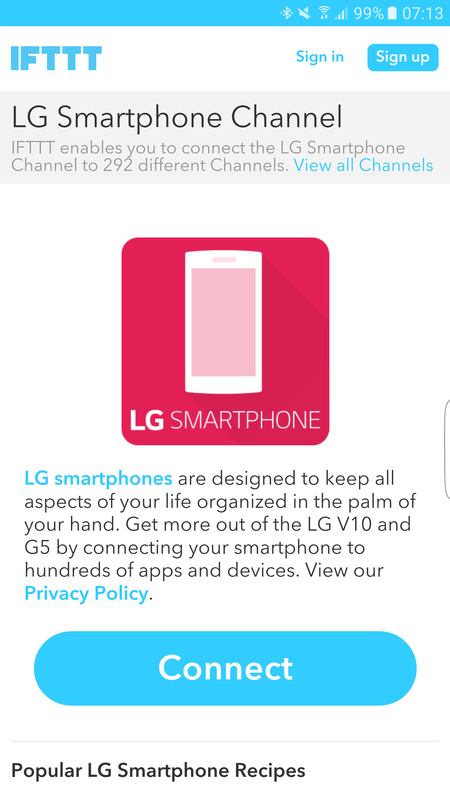 The IFTTT now has a new channel called LG Smartphone. If you have the new LG G5 or LG V10 you now have a new channel for recipes using one of these 2 LG smartphones. 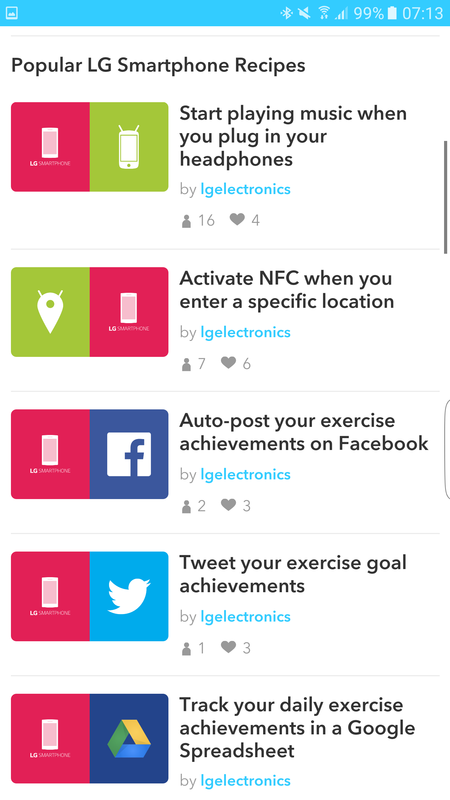 So for example you can create a recipe with IFTTT that when you enter a specific location, NFC gets switched on.